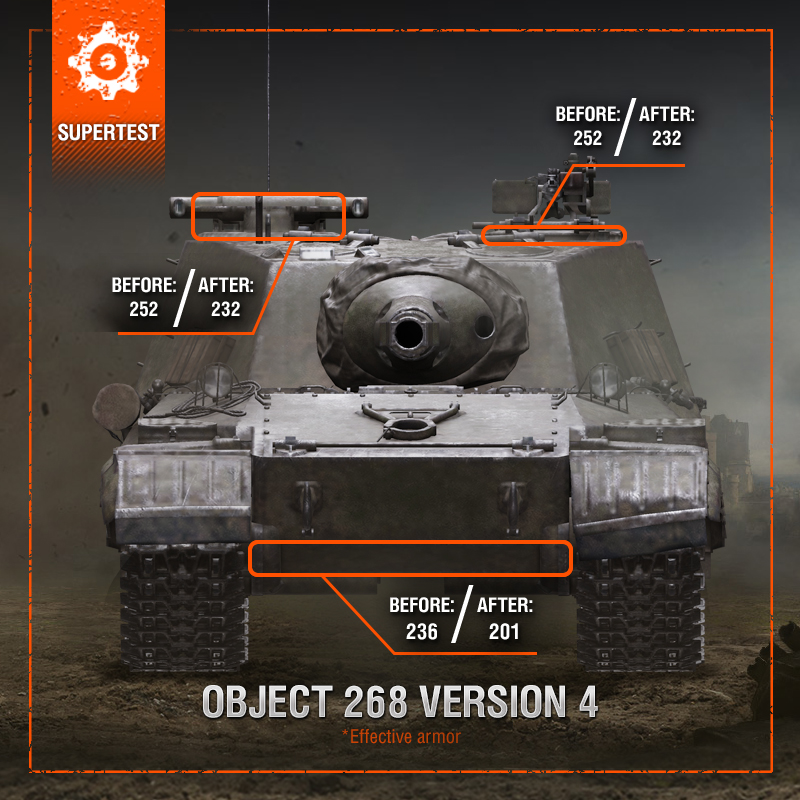 Could this be real, Wargaming decided to change Object 268 v4 almost two months after it was released? These changes aren’t final and weren’t yet implemented, but confirm what the Community has been saying since the vehicle was released: it’s broken! 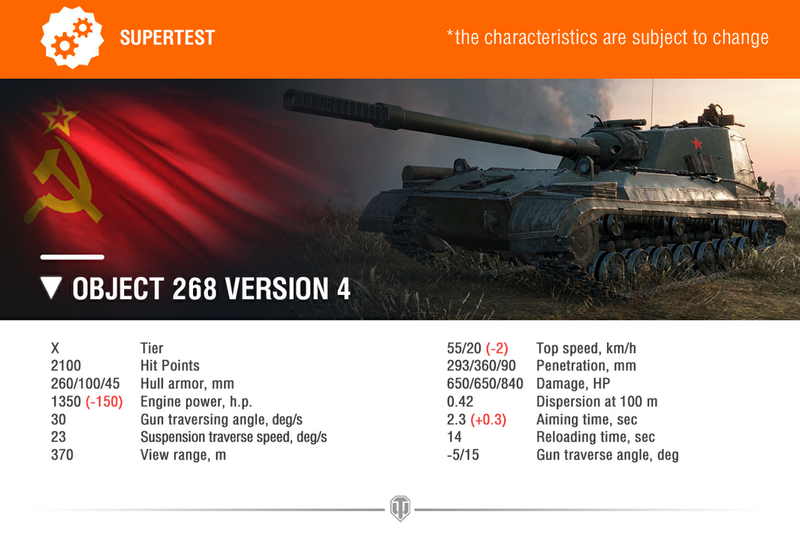 The brand new Soviet tank destroyer Object 268 v4 was re-introduced to Supertest after receiving some changes, Wargaming is trying to balance out the tank that is steamrolling all other tanks in the battlefield. These changes are more than welcome, but will it be enough to balance the vehicle in its entirety? I was expecting a bigger nerf to its top speed and power/weight ratio, but the armour nerfs will definitely bring this vehicle down a notch. What do you think, were you expecting bigger nerfs or do you believe these changes will be enough?